Below you will find answers to the most commonly asked car shipping questions. This page will help you sort through the confusing aspect of car transport services and help you get the best car shipping rates possible when you ship your car! Does a car transport company offer free quotes? Of course! 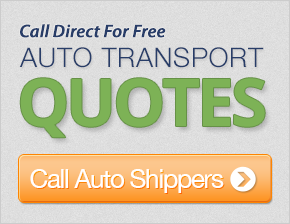 Car shipping companies want to be able to provide you with a quote for their services. You can get up to 7 free quotes from the best auto transport companies in your area by filling out the form on this site. Just provide the details of your move and we will gladly provide you with free comparison quotes for moving your car. How are car shipping rates determined? Your auto shipping quote will contain provisions for distance and mileage, carrier type, insurance coverage, taxes, vehicle value, and any additional car transport services. Depending what sort of auto shipping service you choose, and from which locations, the cost of auto shipping varies widely. In addition, the company may offer additional options which may include additional costs. Are auto transport discounts available? Yes. Many car carriers will offer discounts for the following: multiple vehicle discounts, terminal-to-terminal delivery, and military discounts. Ask your car transport company for additional details. How do I pay for car transport services? As with most services, a deposit is generally required when placing an order for auto shipping. Generally, the deposit ranges from 10-25% of the total shipping fee. The balance will be due upon delivery. Most auto transport companies require car shipping payments in the form of cash or cashiers check, although some companies may accept credit card payments. Are all auto transport companies licensed and insured? Yes. All auto transport companies we work with are licensed and insured. However, you will need to insure the shipment of your vehicle personally, as without insurance, you are not covered in the event of any damage. Make sure that the company includes car shipping insurance in their quote so you're not responsible to cover the cost of repairs. Will my car be safe during transport? No matter what type of car transport service you choose, your vehicle will be very safe during shipping. Enclosed auto transport trucks offer the most protection; however, you will pay more for this type of service. Be sure to ask your vehicle transport company how they ensure the safety of your vehicle. What if my vehicle is damaged during transport? Auto transport is a very safe service; however, accidents do occasionally happen. If you believe that damage occurred during the shipping of your automobile, work with the car transport company to ensure your claim will be processed promptly. Your auto transport company will use your initial inspection report to compare and verify the condition of your automobile before and after transit. Both your signature and that of your driver represents the acknowledgement of the actual condition. At the time of delivery, if you notice any damage, make sure to document this on your bill of lading and again, make this acknowledgement with your signature as well as your drivers. The auto shipping company is the responsible for the verifiable damage to your vehicle. Can I leave gasoline in my car when shipping a vehicle? Most car carriers will ask that you have no more than a quarter tank of gas when shipping your vehicle. A quarter tank should be enough to get you to the nearest gas station when you pick up your car, and because the weight will be less, this can save you money as well. Many auto transport companies have different rules, so just ask your car carrier what they allow. How far in advance should I plan to ship my car? The more advance notice your auto transport company has the better. You are more likely to find an auto shipper to accommodate your needs and time table if you allow them adequate time to schedule your move. How long will it take to ship my car? For vehicles being transported over 1,000 miles, the typical transit time is 7 to 14 days assuming we receive a 1 week advance notice. We would like to have a 2-3 business day window to schedule the pickup of your vehicle, however, same day service is available with advance notice. Our typical transit time of 7-14 days is an estimated time of arrival. If you need your vehicle delivered in a specific time frame, we do offer expedited service with guaranteed delivery dates (There is an additional charge for this service). Will I receive a written car shipping contract? Yes. Each of the car shipping companies in our network will provide you with a written contract in person, by email or fax. It's very important when relocating a vehicle, to obtain a signed copy of the shipping contract in case anything should happen during shipping. What if the pick-up or drop-off location is inaccessible? The standard in the car shipping industry is to offer door-to-door service. You should be aware that it's plausible the driver may not actually be able to come to your home. Due to the difficulty maneuvering through neighborhood streets, your carrier may ask you to meet him in a nearby parking lot. Do I need to be present for vehicle pick-up and drop-off? You should do your best to be present or have a friend represent you for the drop-off and the pick-up of your automobile. Being present at these times is important so you can document the condition of your vehicle before shipping in case damage occurs during transport. If you're the purchaser of the vehicle being transported, the only evidence of the original condition of the automobile is the documentation provided by the seller and acknowledged by the carrier driver. You should take the time to inspect the automobile for any damages that may have occurred during transit. Do transport companies move unusual or inoperable vehicles? Not all transport companies will be capable of shipping inoperable vehicles or large vehicles like RVs. Be sure to provide specific details about your automobile when you request your auto shipping quote and follow up with the auto transport company you hire to ensure they can handle your move.